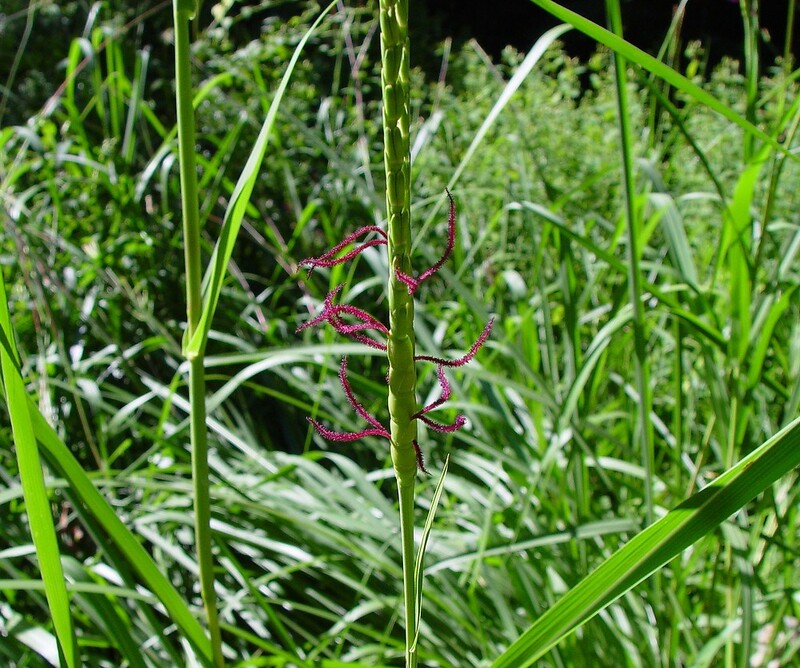 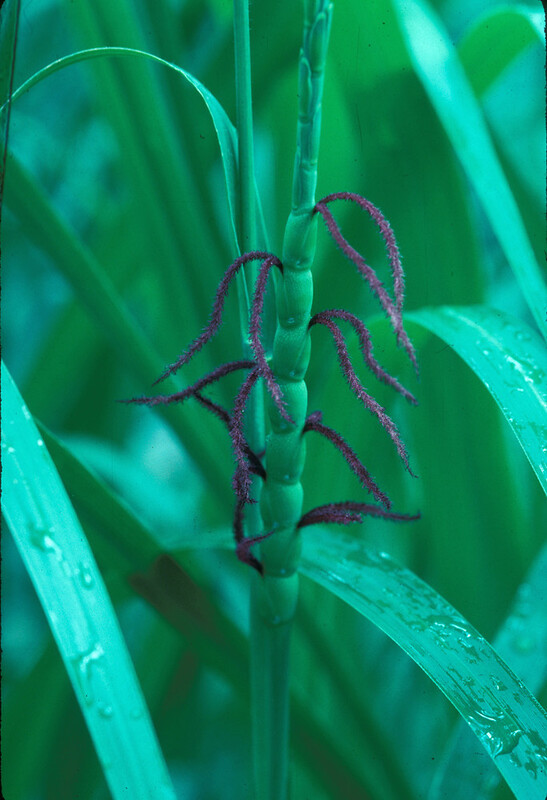 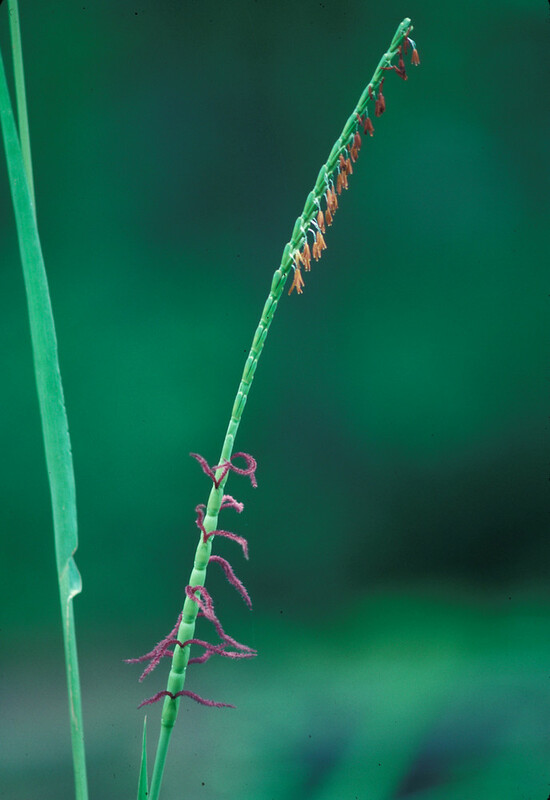 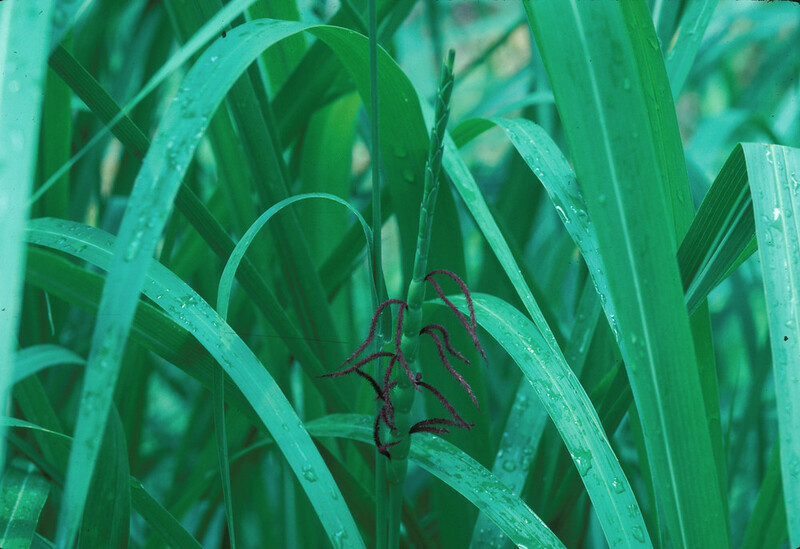 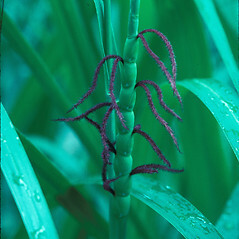 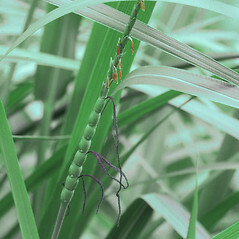 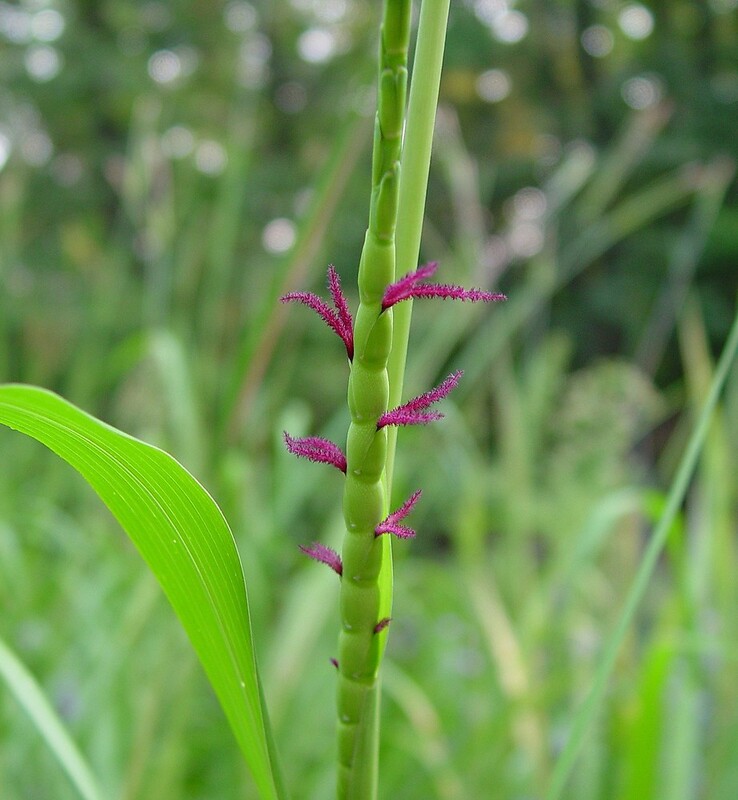 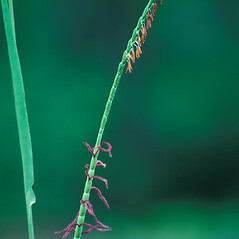 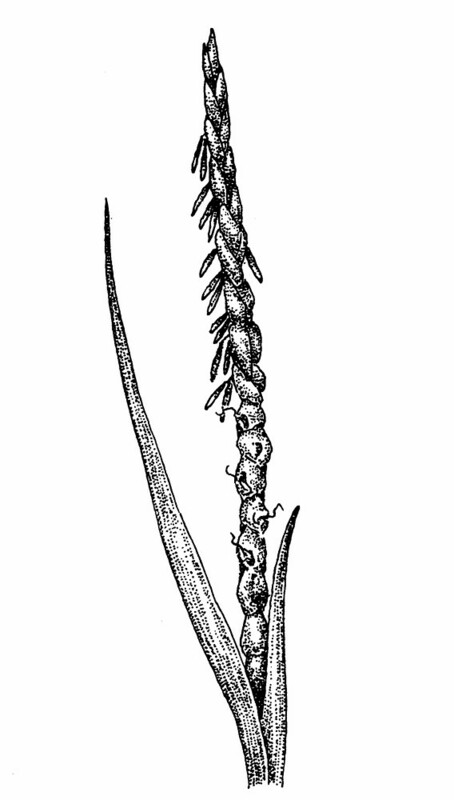 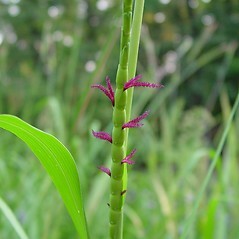 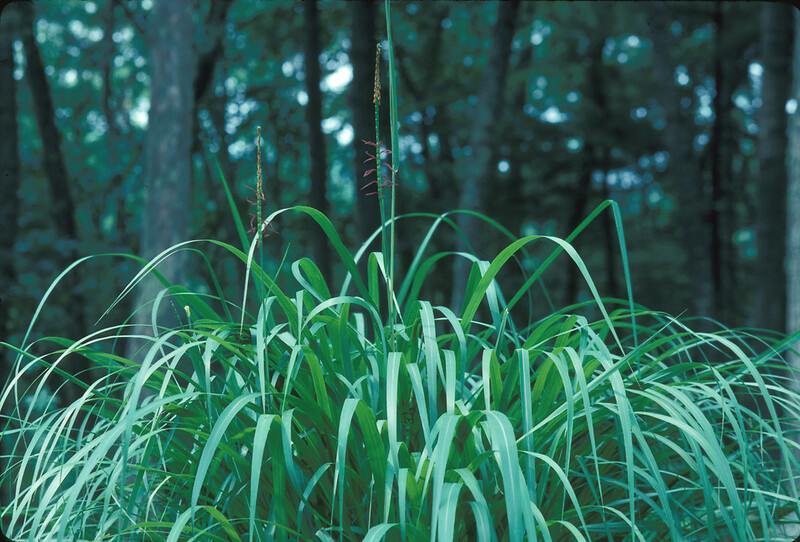 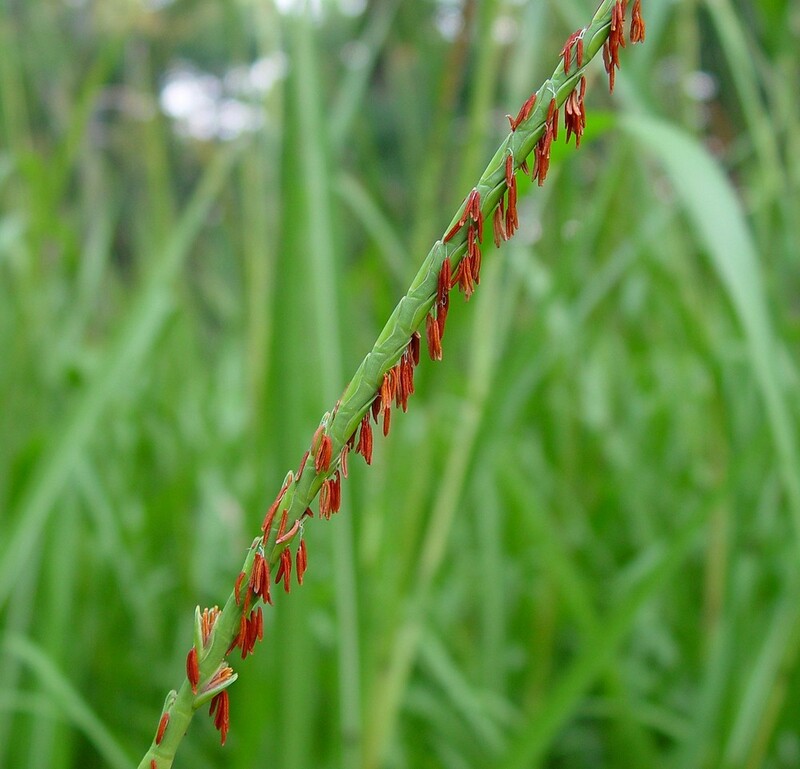 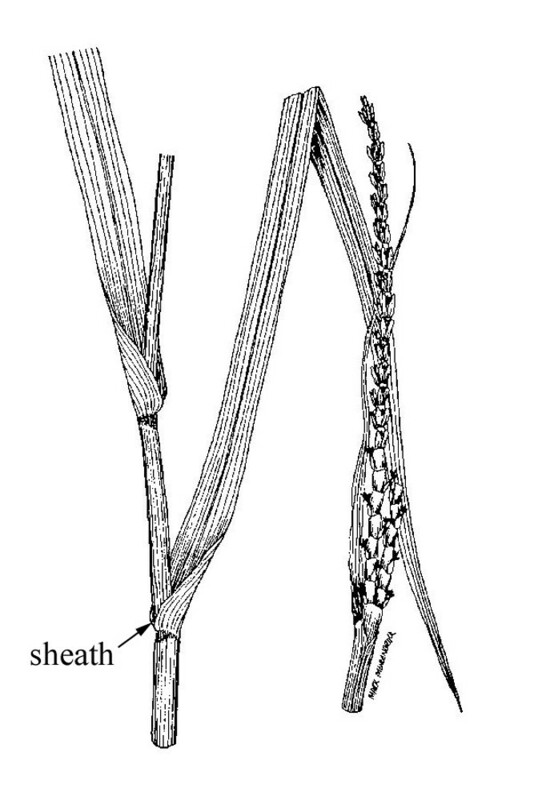 Eastern gamagrass inhabits Central and South America and the eastern, southern and central United States, reaching the northeastern limit of its range in New England. 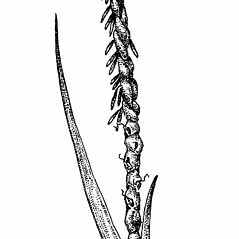 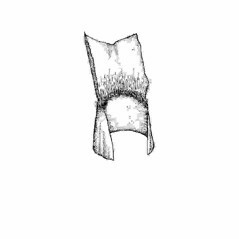 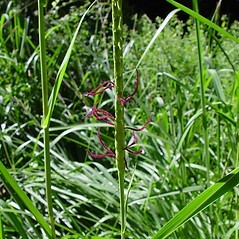 In our region it is a very rare grass of the upper edges of salt marshes, salt meadows, riversides and fields near the coast. 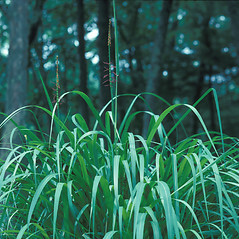 It can reach heights near 3 m (10 feet), and is increasingly popular as a garden ornamental. 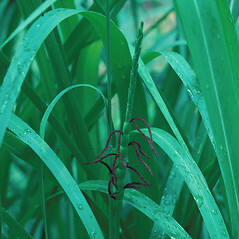 leaf blades mostly 2-5 mm long and inflorescence a spike, 2.2-12 cm tall (vs. T. dactyloides, with leaf blades mostly 9-35 mm wide and inflorescence a rame, 12-25 cm tall). 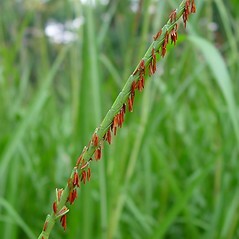 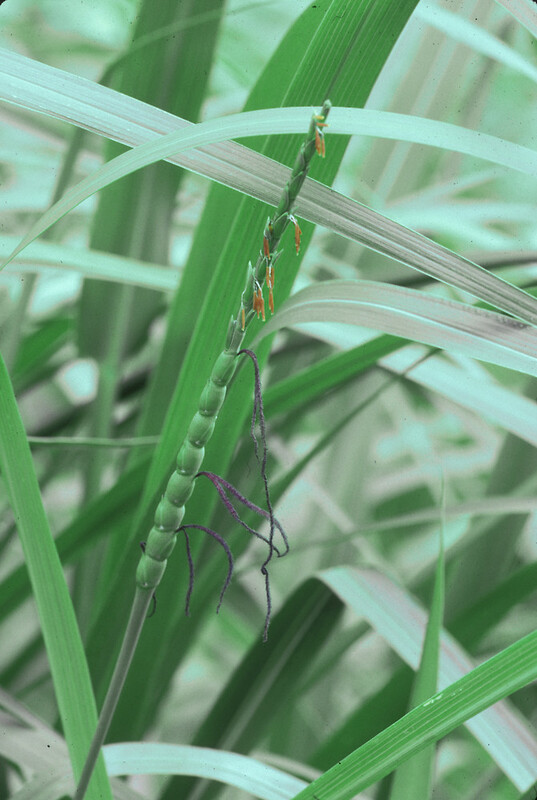 eastern gamagrass. 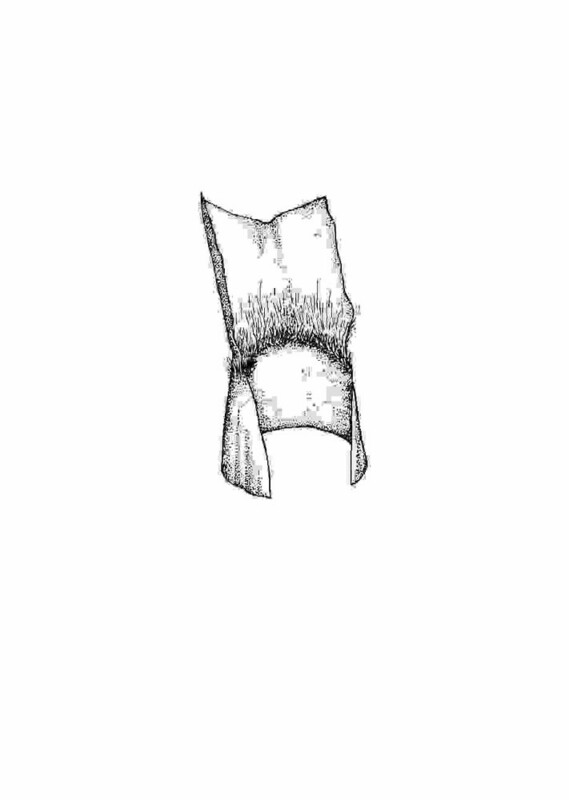 Coix dactyloides L. • CT, MA, RI. 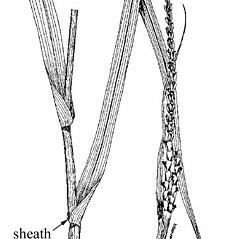 Upper border of saline marshes, salt meadows, river shores and banks, dry fields near the coast.